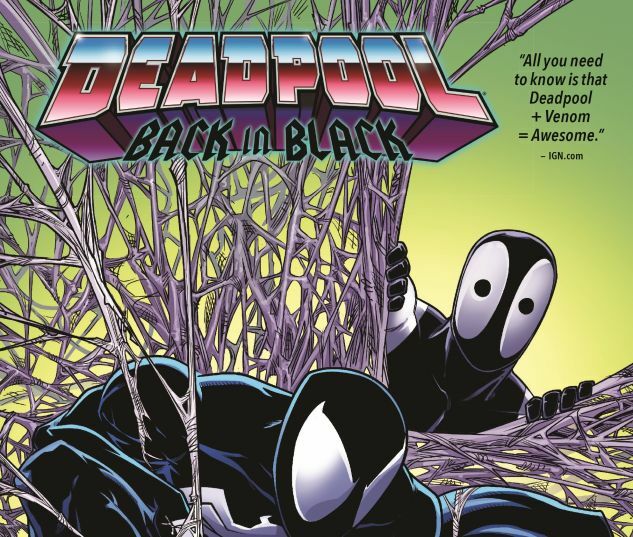 Collects Deadpool: Back in Black #1-5. 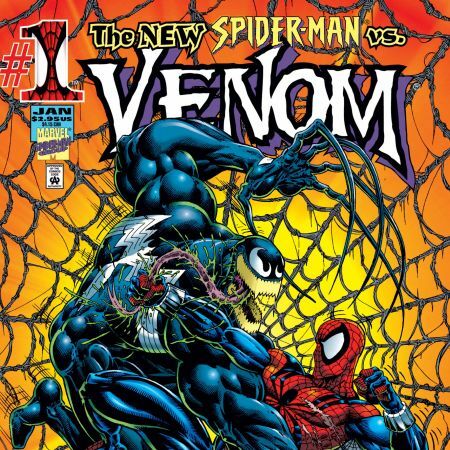 During 1984's MARVEL SUPER HEROES SECRET WARS, Deadpool was introduced to an alien symbiote that went on to become Spider-Man's black costume and eventually, Venom. Okay, maybe that really took place retroactively in 2015's DEADPOOL'S SECRET SECRET WARS. But the point is, it happened! 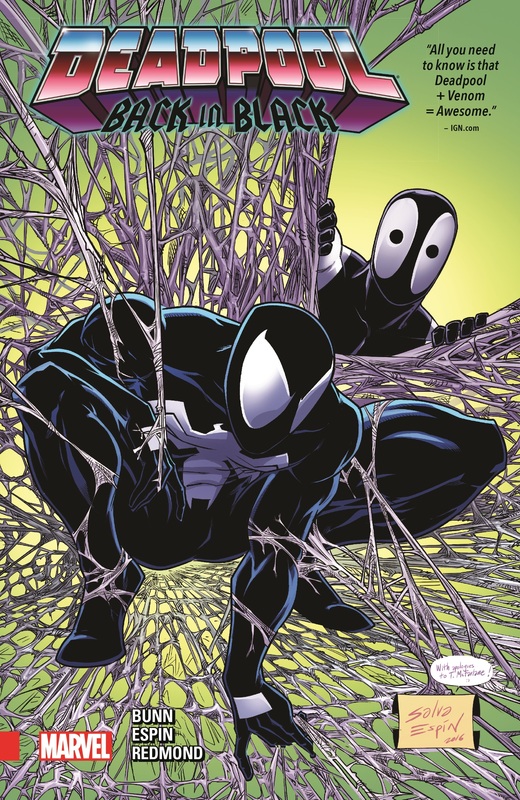 Now, did you know that after Peter Parker rejected the costume, but before it found Eddie Brock, it went slinking back to Deadpool on the rebound? And they went on adventures together? You didn't? Well, you do now! 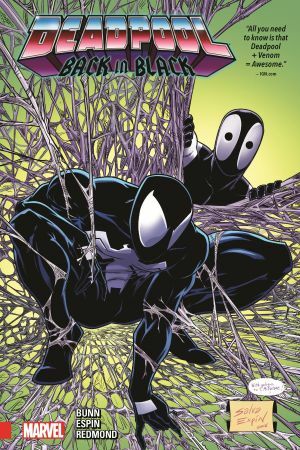 Thrill to Wade Wilson's 1980s adventures in symbiote-sitting! First, he'll be seduced by the Black Cat's semi-criminal wiles! 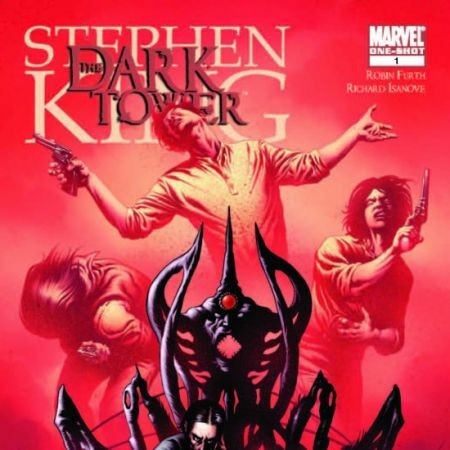 Then, it's Deadpool season in Kraven's second-to-last hunt! But full monochromatic madness ensues when the black-costumed Spidey swings by! You've never seen a symbiotic relationship as dysfunctional as this!